I have been thinking about more Ork scenery for some time. 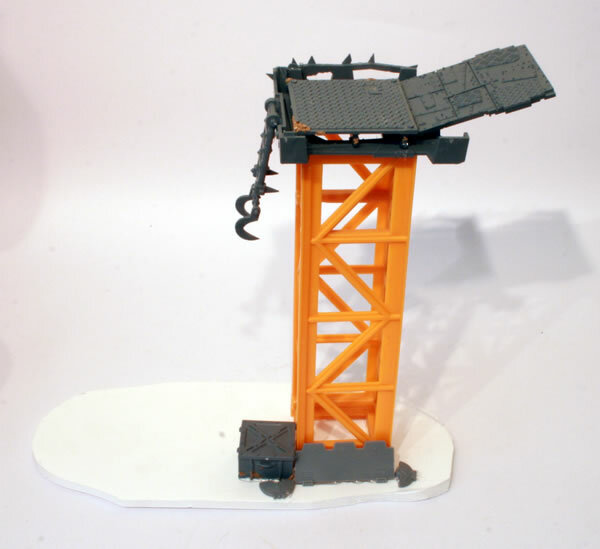 When recently my son broke his toy crane I was inspired to take the broken section and use it as part of a Stompa Gantry. 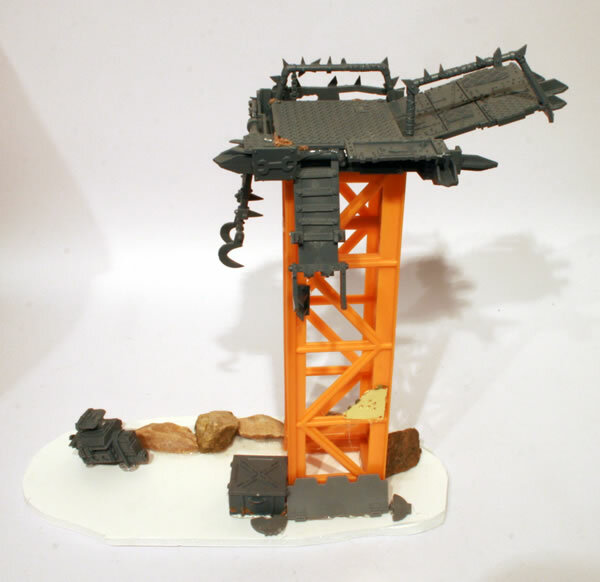 I have also used parts from an Ork Trukk, an Ork Battlewagon and Imperial Accessories. 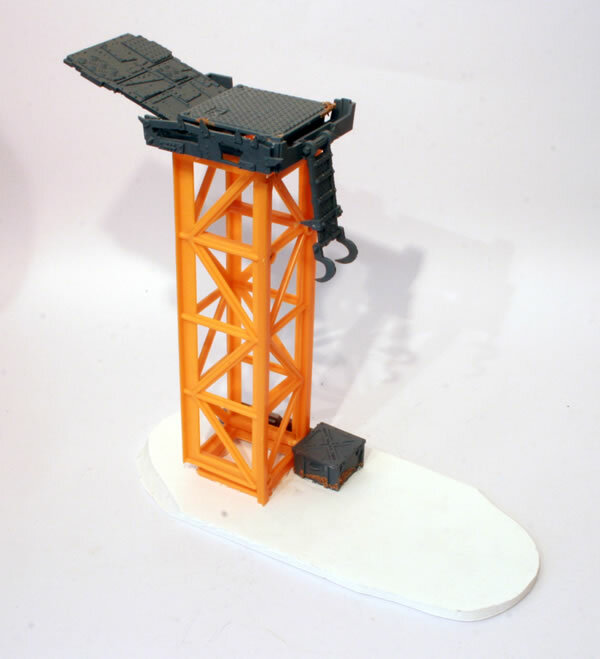 I have used foamcard for the base and the majority of the model was stuck together with a hot glue gun. I added further bitz and pieces including some small stones. 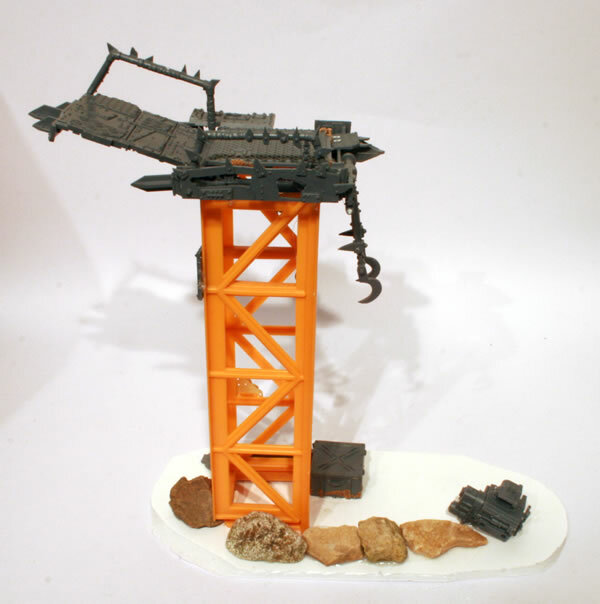 There are some grab rails from the Ork Trukk kit, as well as an engine on the base. I have also used some of the brass from the Warhammer 40000 basing kit.